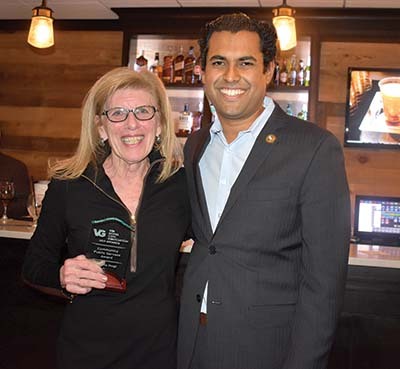 Long Branch – Awards from the Vin Gopal Civic Association were presented last Wednesday night to four well-deserving individuals at Mar Belo’s for their service to the community. 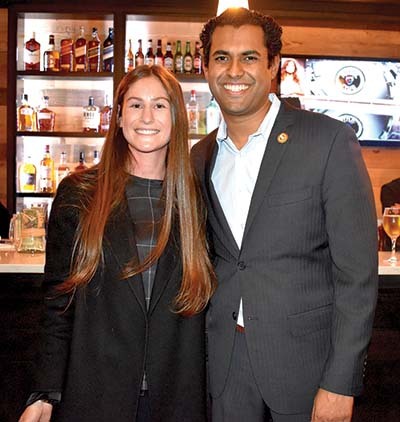 Senator Vin Gopal introduced local politicians who attended the event: Assemblyman Eric Houghtaling, Senator Joe Kyrillos, Mayor John Pallone, and Councilpeople Rose Widdis, Dr. Mary Jane Celli, Bill Dangler and Mario Vieiro. “We have four outstanding honorees who do so much to help the greater Monmouth County area,” Gopal said as he addressed the group. 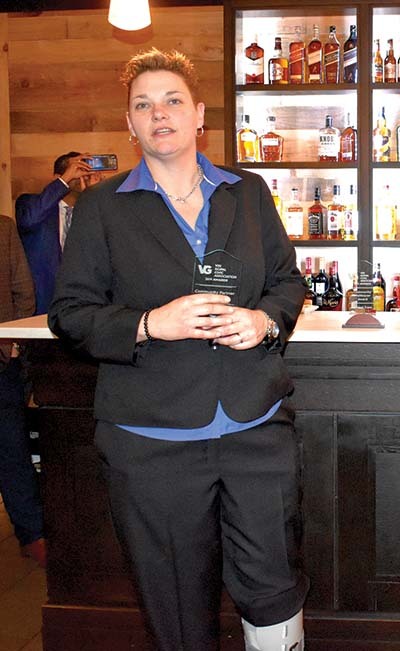 • Long Branch Councilwoman and Senior Vice President of Brookdale Community College Dr. Anita Voogt was honored with the Community Public Servant Award. • Jack Morris, Chairman, RWJ Barnabas Health and Co-owner, Hard Rock Casino & Hotel received the Community Leader Award. 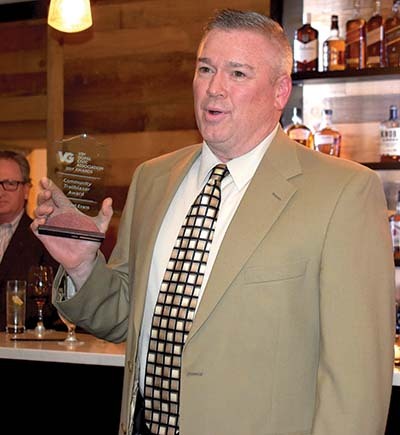 • New Jersey Resources, operator of New Jersey Natural Gas Fortune 100 Company received the Community Partner Award. • Michael Evans, former fire chief of the Wanamassa Fire Department and Volunteer First Responder received the Community Trailblazer Award. New Jersey Resources, parent company to New Jersey Natural Gas supports over 1000 non profits around Monmouth and Ocean counties. They are known for helping out families who can’t afford their gas bill, mainly for heat during the winter. “New Jersey Resources help a lot of families in need and residents who are in trouble,” Gopal said. “They have been incredible.”Michael Evans, Ocean Township Officer of Emergency Management, was honored for his service to the city and beyond. “Michael made sure everyone was taken care of during Hurricane Sandy,” Gopal said, introducing Evans. Jack Morris was honored for his compassion towards his tenants who could not pay their rent because of the government shutdown. Gopal said 100% of donations made to VGCA go towards scholarships and helping others. “This is all done by volunteers, there are no payrolls,” he said. There are new programs being added all to VGCA all the time. The most recent is to help out senior citizens who live by themselves and may need a little help with such things as lawn care, snow removal and groceries. The Vin Gopal Civic Association is a 501(c)3 non-profit organization. They recognize that in our Central Jersey Communities there are many groups who are affected by our unique high cost of living and struggle to maintain their economic independence. If you feel you need help or know someone who should be recognized, or would like to donate, go to vingopalcivic.org.